It’s always election season somewhere. And in odd-numbered years, when national contests generally are not up for a vote, municipal races are often on the table. This scheduling drives down voter turnout in already marginal elections. Looking at data from both on and off years, researchers at Portland State University found that in 10 of the 30 largest cities in the nation, turnout for mayoral elections stood at less than 15 percent. But low turnout combined with the relatively smaller voter pools that characterize municipal elections mean that individual votes have relatively more influence than during general elections. By changing the way votes are cast and tabulated, some jurisdictions are experimenting with ways to ensure the representation of political minorities. For example, rather than a winner-take-all system, a system based on the principle of proportional representation metes out positions of power in elections for more than one candidate according to the percentage of votes received. There are a number of different voting schemes that follow the proportional representation framework, including party-list voting and ranked-choice voting. While party-list voting, in which seats are allocated to a political party’s list of candidates based on the proportion of votes received, is common in Europe, proportional representation schemes in the United States generally take the form of ranked-choice voting. In one common ranked-choice system, voters cast their ballots for a number of candidates in order of preference. Based on the number of ballots cast, a threshold, or quota, is calculated, which establishes the number of votes required to secure victory. First-choice votes are tabulated, and once a candidate meets the threshold, all other ballots which indicate that candidate as their first choice shift into a runoff system: Second-choice picks are now counted as first choice votes, and the process repeats until all seats have been filled. Compared with majority and plurality-based voting systems, ranked-choice voting requires fewer votes for a candidate to win an election. Some suggest this ensures fairness in outcomes, allowing minority interests a chance at representation. Relatedly, this attribute of the ranked-choice system enables voters to cast their ballots for the candidates they truly favor without fear of wasting their vote or contributing to the spoiler effect by selecting a third-party candidate. Why doesn’t everyone use it? Because proportional representation allows third party candidates and others who might not be viable in a majority or plurality-rule election to win, this can lead to coalition governments. Some consider this an advantage while others feel that it is a disadvantage, suggesting it might result in a fractured or weak government. Ranked-choice voting is also a more complicated system than more standard first-past-the-post methods, which might also explain its rarity. Where is it used now? 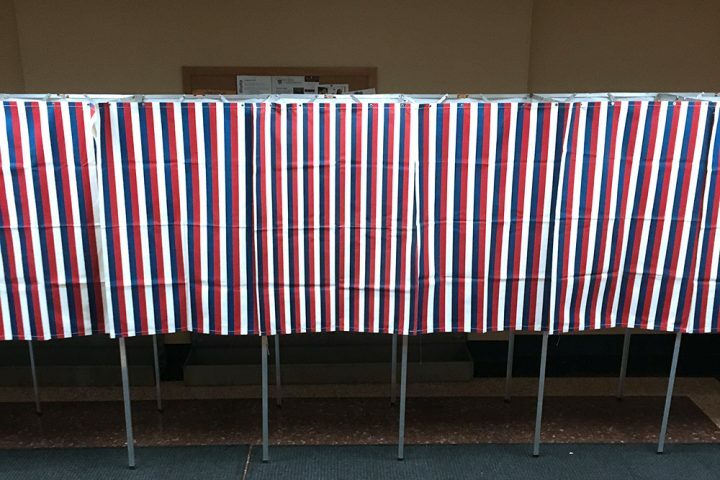 While ranked-choice voting is uncommon in the U. S., proportional representation is used widely across the globe and in select U.S. communities, including Cambridge, Massachusetts. Minneapolis also uses ranked-choice voting and the system could have notable effects in the close 2017 election. Are others considering a switch? The city of Menlo Park, California is considering a shift. In Santa Fe, New Mexico citizens are pushing for ranked-choice voting in mayoral elections. In Massachusetts, state Sen. Jamie Eldridge filed a bill in 2017 that would allow all the Commonwealth’s municipalities the option to employ ranked-choice voting. In some parts of the U.S., the system has met pushback. Some Memphis city leaders want to reverse a 2008 amendment to the city charter that will convert city council elections to the ranked-choice model in 2019. In 2016, Maine voters passed a referendum to move to ranked-choice voting for gubernatorial, congressional and legislative races. That decision was subsequently found unconstitutional by the Maine Supreme Judicial Court, though it hasn’t been repealed yet. Academics have researched the strategic outcomes of proportional representation, the circumstances that lead to the system’s adoption and how proportional representation votes play out abroad. FairVote, an organization advocating for electoral reform, has additional resources, including details on other variants of proportional representation voting schemes, such as instant runoff voting.